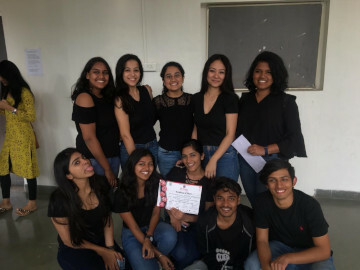 TEAM SYNERGY won the first prize Unify'19, SICSR in the Group Dance Category! The winners are Anish Kumar, Jahnvi Verma, Jewel Sunny, Kavipriya E, Lori Tripathi, Manvi Kedia, Pavithra Moorthy, Saniya Shah, Stuti Sarkar, Yash Khandelwal. Uday Wadhera (BSc Batch 2017-20) has represented India and was among the top six finalists of Budding Economists at the 15th South Asian Economic Student’s Meet held in Colombo January 2019. His paper presentation under the theme of Regional Connectivity was appreciated by the panellists and congratulated for giving a tough fight to the winners. Uday Wadhera's paper was the SSE's alone entry to be selected at the 15th SAESM. Alan Shaji and Pavithra Moorthy- authoring the paper titled "Estimating the Costs of Water Borne Diseases and Impact on Human Health". Savannah Lobo and Shikhaa Munglani- authoring the paper "Domestic Waste Management in Pune". S.Nandhini and Spandan Bose- authoring the paper titled " Integration of the Role of Informal Sector towards Sustainable Waste Management". The paper presentation took place on the 14th of February in Chennai. These papers were published in the book titled “Contemporary Issues in Environmental Economics” published by the Loyola Economic Association for Development, Loyola College, Chennai. Symbiosis School of Economics performed astoundingly at the Symbhav 2019's Model United Nations. Every single member of our delegation came away winning an award in their respective committees. In the United Nations Human Rights Council, Meera Bala won the Best Delegate award. In the United Nations Security Council, Shreya Shukla won the High Commendation award. In the European Parliament, Aisha Intesar won the Special Mention award. In the United Nations General Assembly, Shreyes Jayaram won a Verbal Commendation. In the All India Political Parties Meet, Saptarshi Roy Chowdhury and Saransh Goyal won Verbal Commendations, particularly for their research. Rajas Kolhatkar performed in the Oxford Style Debate at the Symbiosis Law Schools' Fest, Symbhav 19. He won the competition finishing first. He also took part in the extempore competition organized at the fest and secured the second place in the same. 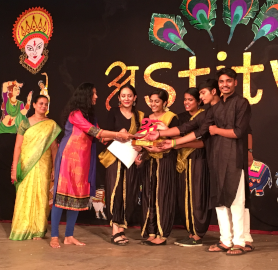 Team Synergy bagged the 2nd prize at SYMBHAV’19 (SLS) in the Group Dance Competition held on 22nd February 2019. Presenting the Winning Team: Anish Kumar, Jahnvi Verma, Jewel Sunny, Kavipriya E., Lori Tripathi, Manvi Kedia, Pavithra Moorthy, Saniya Shah, Stuti Sarkar and Yash Khandelwal. B.Sc Quiz Club has yet again, added another feather in its cap. 22 February 2019, Omkar Arora secured the first place in SYMBHAV'19 General Quiz event hosted by Symbiosis Law School, Pune. 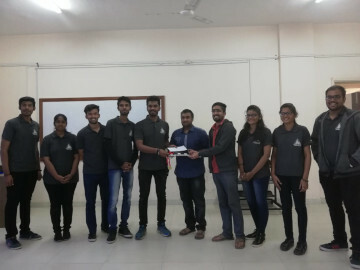 SSE was awarded position in TROIKA'2019 quiz event hosted by Brihan Maharashtra College of Commerce (BMCC), Pune. A team comprising of Omkar Arora and Pushkar Patil maintained the top spot throughout the entire event out of 32 participating teams. TEAM SYNERGY bagged the SECOND PRIZE at the SIMS FEST “ORION’19” in the GROUP DANCE category, held on 19th January 2019.The team is immensely dedicated and passionate about dance and it translated beautifully on stage as we presented a thematic dance based on “acid attacks”. 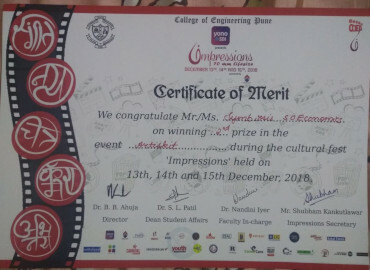 The team received a standing ovation and numerous compliments from everyone.The winners of the event Anish Kumar, Jahnvi Verma, Jewel Sunny, Kavipriya E, Lori Tripathi, Manvi Kedia, Pavithra Moorthy, Saniya Shah, Stuti Sarkar, Yash Khandelwal. The winners of the event Anish Kumar, Jahnvi Verma, Jewel Sunny, Kavipriya E, Lori Tripathi, Manvi Kedia, Pavithra Moorthy, Saniya Shah, Stuti Sarkar, Yash Khandelwal. Synergy bagged the first position in the Bollywood Group Dance Competition ‘Rangeela’ organised by COEP, as a part of their annual fest IMPRESSIONS’18. The competition was held on the 14th of December with teams from all over the city taking part. Congratulations winners Jahnvi Verma, Jewel Sunny, Gayatri Koliath, Stuti Sarkar, Manvi Kedia, Saniya Shah, Anish Kumar, Yash Khandelwal, Kavipriya E, Sheersha Mathur. Streetlights, the theater club of SSE are proud to announce our first win for this academic session 2018-19, on first competition we participated in where we got the 2nd position. The competition, Artiskit, for IMPRESSIONS, COEP was an impromptu play challenge where we had to prepare a play in a time constraint of 30 minutes on a topic provided on the spot. I would like to take this opportunity to thank all of our team members for their valuable inputs and cooperation. Congratulations to the performing team for executing the play in a matter of 15 minutes, comprising of the following members: Bhavya Patel, Avani Darne, Shailisree Choudhury, Sanatan Tripathi, Richa Patro, Aditya Sharma, Pranav Munot, Aditi Bali. SSE made a huge impact at the cultural meet Unwind, Pune organised by Amplify Art. The event was called AZAD AWAAZ. Multiple platforms were set-up for the artists: Music - Open Mic / Non-Competetive, Music - Competitive, Poetry - Open / Non-Competetive, Poetry - Competitive. Ratnabh Mukerjei won the first position in the competitive poetry event. Alan Shaji and Aanandini Tripathi, made Raaga proud by winning the second prize in the music competition. Synergy takes great pride in announcing that Manvi Kedia and Saniya Shah secured the second position in the duet category of the dance competition at VEDANT’18 hosted by Byramjee Jeejeebhoy Medical College (BJMC) on the 20th of September 2018. Symbiosis School of Economics has performed extremely well in Arthanomics 2018 organized by Jai Hind College, Mumbai. SSE bagged the trophy for *Best Outstation College*. SSE placed in the following events: 1st Place in Power Play - Aishik Das & Abhigyan Roy and 3rd Place in Policy Pandemonium (Paper Presentation Event) - Pooja Thaker and Aliasger Shabbir. SSE were also finalists in the Case Study competition as well as the Mock Stock. Synergy proudly presents its first win of the academic year 2018-19, having secured the first position in the Group Dance Competition at Astitva BMCC, held on 24th August'18. The stalwarts of the team were- Anish Kumar, Kavipriya E, Yash Khandelwal, Jewel Sunny, Stuti Sarkar. SSE’s DebSoc is proud to share that the contingent we sent to the GNLU (gujrat national law university) parliamentary debate has performed exceptionally well. Swareena Jones, ranked 3rd best adjudicator, amongst a pool of 70 competitive adjudicators. The novice team, consisting of Ishaan Saokar and Aditya Dutta, reached the finals in the novice category. Aishwarya Narayan ranked 10th amongst a pool of 108 speakers. Anmol Bhotika (B.Sc. (Honors) Eco, 2015-18)’s short film ‘Soft Pedal’ was selected for the 5th Kolkata Shorts International Film Festival 2016, held in Kolkata on 24th July. Kalyani Saxena (B.Sc. (Honors) Eco, 2014-17) secured the 2nd position among 55 finalists in the event Chhavi, the photography competition at Amatheon 2015, the International food and Agri-business Summit at IIM-Ahmedabad held on 16th-18th January, 2015. Riddho Roy (B.Sc. (Honors) Eco, 2015-18) secured the top position at the Short Film Making Event at Astitiva 2015 at BMCC, and the 2nd prize at the Short Film Making Event at Malhar 2015 at St Xaviers Kolkata.He also reached the top 5 in the Adfilm Event at IIM Ahmedabad. 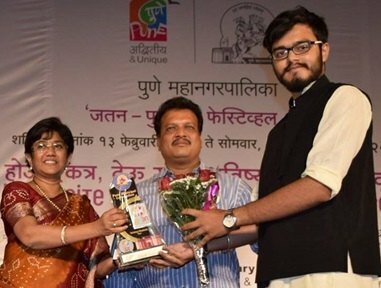 Mr. Puneet Sahanpal, (B.Sc (Economics), Batch 2013-16) was awarded the “Youth Achievers Award” in the Pune Youth Festival – Jatan 2016, organised by the Pune Municipal Corporation on 15th February 2016. Shri Dattatreya Dhankawade, Mayor of Pune and Adv. Vandana Chavan, MP of Maharashtra conferred the award on him. He was also selected as a member of TORR. Torr is a modern micro social network intended to stimulate original ideas, awaken and develop talent throughout the world, provide fellowship, and ensure a better appreciation of the arts and sciences. It is a highly selective organisation, with membership limited to gifted individuals displaying an intelligence quotient occurring only once in every 760 individuals. 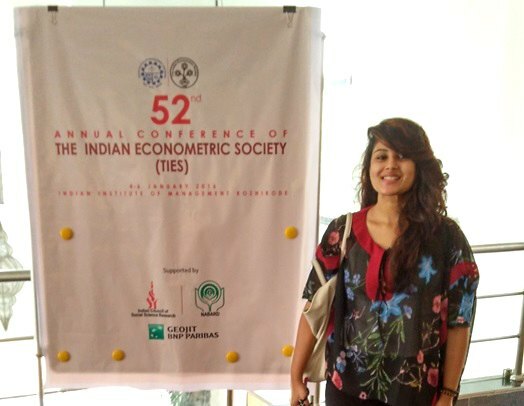 Ms. Twinkle Roy’s (B.Sc (Economics), Batch 2013-2016) paper was accepted at the Indian Econometric Society ‘s annual conference in January 2016. Her paper is titled ‘A resolution to determine the fallacy or the veracity of the collision between India and China: A Duration Analysis Approach’. Mr. Riddho Roy (B.Sc (Economics), Batch 2015-2018) won “Best Delegate” in La Cosa Nostra MUN at Ka-Ching Fest organised by Sarla Anil Modi School of Economics(Narsee Monjee). Mr. Nischay Sharma (B.Sc (Economics), Batch 2012-2015) played for the SIU squash team at the All India University Squash Championship 2014 held at Mumbai in January. Mr. Shivam Pathak and Ms. Paridhi Jain (B.Sc (Economics), Batch 2011-2014) were selected for the Gandhi Fellowship Programme. Ms. Pulkita Vaish and Mr. Sujeet Kumar Singh (B.Sc (Economics), Batch 2012-2015) from were appointed as AC Nielsen Campus Ambassadors. This world has no ends to begin with; however something once upon a time started it all. That something was I. Enveloping the realms of common sense and sense common to some, this book seeks to awaken the “I” in you. What once found its way in the tattered pages of old journals now turns to face the world. In this mechanical era, where most people can’t find themselves in their own reflection; starving for an answer. It is for them to discover how an idea can set them free. 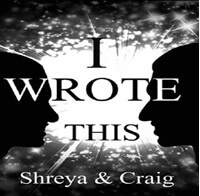 I am what brought two strangers to narrate one story; it is a journey I wanted them to be a part of. He has worked as a Research Intern at Agricultural & Processed Food Products Export Development Authority (Apeda), Ministry of Commerce & Industry, Government of India. “Two Decades of India’s Economic Reform: Assessment” at National Conference on “Reviving Growth Strategies for India” at Christ University, Bangalore on 15th -16th December 2012. “Rising Inequalities and Regional Disparity in India: Issues and Challenges” at OECD-Universities Joint Conference to be held at OECD Headquarters, Paris on 3rd -5th July 2013. He jointly worked with Sabina Alkire, Director, University of Oxford, UK titled “Trends in India’s Multidimensional Poverty across States: Policy Analysis” Forthcoming Working Paper Series of Oxford University. Ms. Saloni Srivastava’s (B.Sc (Economics), Batch 2010-2013) paper on “Applied Game Theory in Product Differentiation – Case of Store Brands vs National Brands” got selected for the “European Journal of Operations Research”. 3 Short stories by Mr. Nirupama Sudarsh (B.Sc (Economics), Batch 2011-2014) got published in various literary magazines this year. Mr. Soumya Guha (B.Sc (Economics), Batch 2011-2014) won the 1st position in group discussion event in BMCC’s fest Troika and his named was mentioned in the report prepared under The R.K. Laxman chair Initiatives, of the RTI workshop. Vice President Security Council at NLSMUN 2012 organized by National Law School, Bangalore. Ms. Anchal Madnani and Mr. Aman Rai (B.Sc (Economics), Batch 2011-2014) won the 1st position in Symbiosis Stock Exchange event organized by Symbiosis School of Banking Management in SYNOPIA 2013. Mr. Abhay Krishnan (B.Sc (Economics), Batch 2011-2014) completed the Basic Mountaineer Course (BMC-289). Himalayan Mountaineering Institute and was awarded, with an ‘A’ Grade. He also completed Basic Snow Skiing Course by the Indian Institute Of Skiing and Mountaineering in Gulmarg, J&K. He was awarded an ‘A’ grade for this too. Ms. Swapna Joshi (B.Sc (Economics), Batch 2011-2014) participated in the National Level Debate Competition – “UDBHAV” conducted by G.B Pant University of agriculture and technology, Uttarakhand and was awarded best speaker of the session. Mr. Souradeep Ghosh’s (B.Sc (Economics), Batch 2010-2013) photo got selected as honorable mention in a photo contest for the theme Nature. More than 4500 photos were submitted from all around the globe. 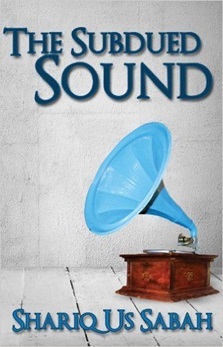 Mr. Shariq Sabah (B.Sc (Economics), Batch 2012-2015) is all set to publish a poetry book titled The Subdued Sound. The book was released on the 25th of March, 2013 by Rochak Publishers. Mr. Mandar Phatak (M.Sc. Economics, Batch 2012-2014) went to Warsaw University for a Semester Study for M Sc II. Ms. Ipshita Rana (B.Sc (Economics), Batch 2011-2014) and Mr. Zeeshan Quader (Batch 2011-2014) visited LSE to attend a Summer School Programme. Mr. Sai Anurag (B.Sc (Economics), Batch 2010-2013) represented SSE at the South Asia Economics Students Meet (SAESM) 2012 held at Kathmandu, Nepal. Ms. Prerana Deshpande (B.Sc (Economics), Batch 2010-2013) was selected for an international summer school programme at the Berlin School of Economics and Law in June 2012. She was awarded an overall A grade.